These Wisconsin guys could catch some redfish!! Posted in Fishing Charter Pictures	| Tagged Book A Charter, cape san blas, charters, fishing, fishing charter, flounder, guide, Indian Pass, inshore slam, Redfish, Speckled Trout	| Comments Off on Redfish Galore! St Joe Bay Inshore Slam! Carlo and Colleen got the inshore slam today with 17 flounder, 7 trout and 1 redfish!! Posted in Fishing Charter Pictures	| Comments Off on St Joe Bay Inshore Slam! St Joe Bay Fishing Report! The redfish, speckled trout and flounder bite has been strong due to higher water temperatures this February on St Joe Bay. Joe, John and Cole caught some nice trout, flounder, reds and Spanish mackerel today!! Posted in Fishing Charter Pictures	| Tagged Book A Charter, cape san blas, charters, fishing, fishing charter, flounder, guide, Indian Pass, inshore slam, Redfish, Speckled Trout	| Comments Off on St Joe Bay Fishing Report! Awesome Day on St Joe Bay! I had Stew, from Pennsylvania, on the boat today and we caught the heck out of speckled trout, flounder and redfish!! Posted in Fishing Charter Pictures	| Comments Off on Awesome Day on St Joe Bay! Great Fishing with a Crew from Michigan!! Great day catching redfish, speckled trout and flounder with this crew from Michigan! Ended up with 19 speckled trout, 14 flounder and one redfish!! 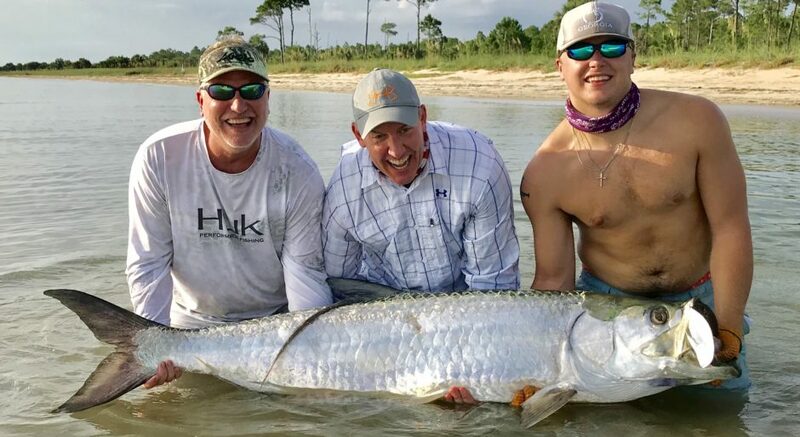 Posted in Fishing Charter Pictures	| Tagged Book A Charter, cape san blas, charters, fishing, fishing charter, guide, Indian Pass, inshore slam, Redfish, Speckled Trout	| Comments Off on Great Fishing with a Crew from Michigan!! Daniel and Amy were back again today for some great redfish action with a storm threatening all day!! Also caught 9 keeper flounder! Posted in Fishing Charter Pictures	| Tagged cape san blas, charters, fishing, fishing charter, flounder, guide, Indian Pass, inshore slam, Redfish, Speckled Trout	| Comments Off on Pre-Storm Redfish and Flounder! Fat Reds for Daniel and Amy! Heck of a day for Daniel and Amy!! They caught the inshore slam with 7 redfish, 17 speckled trout and 11 flounder!! Even accidentally hung a sea turtle which we released unharmed!!! Posted in Fishing Charter Pictures	| Tagged cape san blas, charters, fishing, fishing charter, flounder, guide, Indian Pass, inshore slam, Redfish, Speckled Trout	| Comments Off on Fat Reds for Daniel and Amy! Daddy/Daughter Day was a Blast! Daddy/Daughter day for Megan and Albert from the Boston area!! Posted in Fishing Charter Pictures	| Comments Off on Daddy/Daughter Day was a Blast! Had a great time with Clark, Judson, Anna and Mills from Georgia today! The kids rocked and caught more than the dad’s!!! St Joe Bay Redfish for Miss Donna! Slow day on the pond but we managed a few trout, flounder and Miss Donna took home the prize with this beautiful redfish! Posted in Fishing Charter Pictures	| Comments Off on St Joe Bay Redfish for Miss Donna!